The design of Louis XV Bar Chair is based seating from the reign of Louis XV (1730-1760), undoubtedly the greatest of all periods for French furniture. Influenced by the royal mistress Madame de Pompadour, this was a period of extraordinary creativity. Chairs had curved legs, floral decorations, and comfortably padded seats and backs, yet sacrificed nothing in design. Madame de Pompadour, like other fashionable people, embraced the Rococo style, which by this time had been flourishing for a couple decades. Although she is identified with the Rococo style, she was at court at a time of stylistic transition away from the Rococo and toward a more sober neoclassicism. 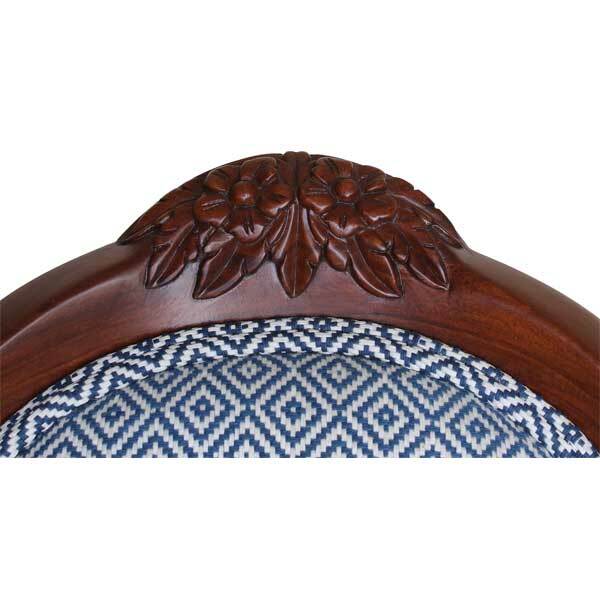 You can see evidence of this in some 1760s furniture whose curves are less exuberant and shapes more symmetrical. 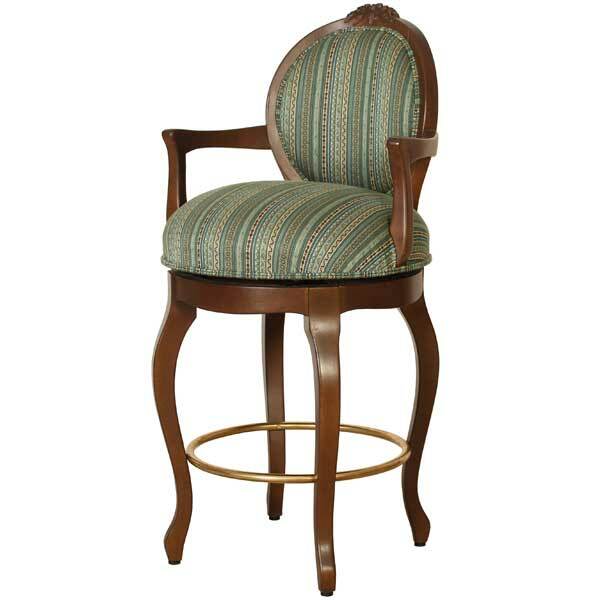 Constructed of rosewood and entirely hand-carved, this exquisite Bar Chair is offered in a variety of finishes and accents. The seat has a memory swivel. The seat cushion has 8-way hand-tied springs which will not sag even after decades of use. The brass footrest adds a charming and useful accent. Upholstery is in COM or COL. Custom sizing is available.